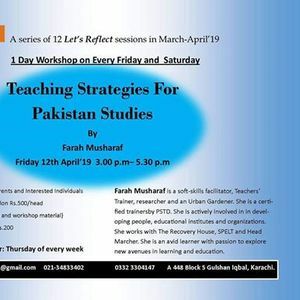 Teaching Strategies For Pakistan Studies has been specially designed for Pakistan Studies teachers. 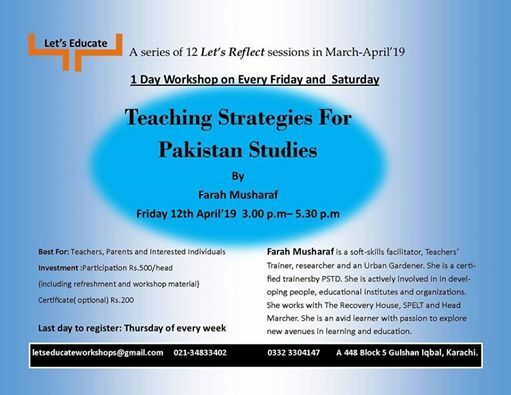 The workshop would enable the teachers to integrate learning based activities with their lessons for better understanding to maximise students participation. conducted interactive workshops on various topics such. Currently she is working with The Recovery House, SPELT, and Head Marcher. 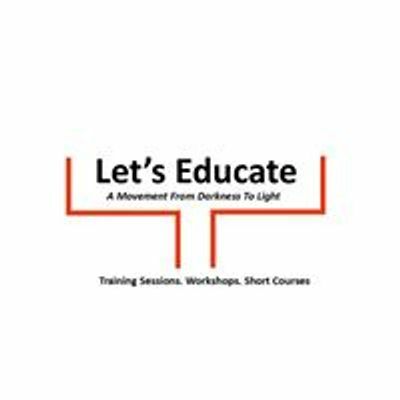 She is an avid learner with passion to explore new avenues in learning and education. A 448 Block 5 Gulshan Iqbal behind Sir Syed University Karachi.